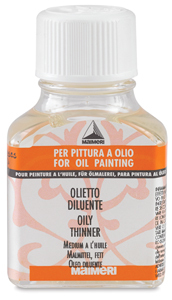 Reduces the consistency of oil color without sacrificing richness, as solvents do. This thinner tends to yellow. Highly flammable. 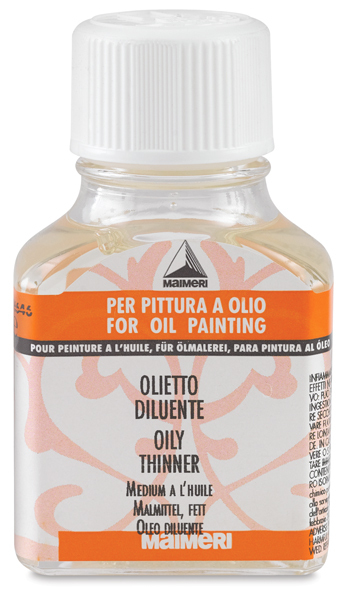 Oily Thinner — Reduce the consistency of oil color without sacrificing richness, as solvents do. This thinner tends to yellow. Highly flammable.